الخيار الأفضل للحصول على المتعة والاسترخاء، Element Escapes Apartments يقع في منطقة رائجة من أفضل مناطق المدينة. يسهل الوصول إلى هذا الفندق ذو 5 نجوم من المطار، فهو يبعد عنه مسافة 3 km فقط. يضفي محيط الفندق اللطيف وقربه من أكثر المعالم السياحية جذبًا سحرًا خاصًا على هذا الفندق. كما يقدم Element Escapes Apartments الكثير من الخدمات لإغناء رحلتك في المدينة. يقدم هذا الفندق العديد من الخدمات الكفيلة بإرضاء أكثر الضيوف تطلباً. ادخل إلى واحدة من الغرف 37 وتخلص من عناء نهار طويل بمساعدة مجموعة كبيرة من الخدمات كمثل تلفزيون بشاشة مسطحة, سجاد, مواد تنظيف, رف للملابس, مدفأة الموجودة في بعض الغرف. يقدم الفندق مجموعة رائعة من الخدمات كمثل مسار جولف - ضمن 3 كم, حديقة، لجعل إقامتك تجربة لا تنسى. يشكل Element Escapes Apartments بخدماته الراقية وموقعه الممتاز، قاعدة مثالية للاستمتاع بإقامتك في المدينة. يمكن للعقار أن يحتفظ بأمتعتك عند مكتب الإستقبال فقط قبل موعد تسجيل الدخول. لا يُقبل بهذا الأمر عند تسجيل الخروج. هذا العقار لا يوجد به مكتب استقبال. النزلاء الذين يحجزون في نفس اليوم بعد الساعة 3 عصرًا سيتم إرسال تعليمات إليهم حول الموقع وتفاصيل الوصول إلى الشقة المختارة عن طريق رسالة SMS وبالبريد الإلكتروني إلا إذا كنت قد قمت بترتيبات مسبقة مع الإدارة من أجل تسجيل وصول مبكر قبل ذلك. سيتم خصم رسم إضافي 2% على المعاملات التي تتم ببطاقات فيزا وماستر كارد الائتمانية، و3% على بطاقة أمريكان إكسبرس الائتمانية. ينبغي أن يذكر النزلاء نوع الأسرة المفضل في قسم "الطلبات الخاصة" عند الحجز. النزلاء تحت سن 21 سنة يجب أن يكونوا بصحبة مرافق. ولكن يجب على الوصي القانوني تقديم بطاقة هوية سارية بها صورة أو ما يثبت حق الوصاية إذا طُلب ذلك عند تسجيل الوصول. يتبع هذا العقار سياسة صارمة بحظر إقامة الحفلات. عند مخالفة هذا الشرط، سيتم إلغاء الحجز ولن تُرد الأموال. ولكن لا يُسمح سوى للنزلاء المسجلين بدخول العقار بعد 10 مساءً. يتم تسجيل الوصول واستلام المفاتيح في هذا العنوان: 875 Frankton Road, 29 Panorama Terrace & 16 Kent Street, 9300 Queenstown. يُطبّق رسم إضافي على البطاقة الائتمانية بقيمة 2,5% لبطاقات فيزا وماستر كارد و3,5% لبطاقات أمريكان إكسبرس نظير جميع عمليات الدفع التي تتم في الفندق. This place is absolutely beautiful, well maintained and self sufficient for a family. The hosts are great, very responsive and generous with their freebies! There were initial problems with a room mix-up, which was quickly sorted on the spot with no fuss. Only downside was that 90% of the lake facing units are facing a construction site now! Would have appreciated being told about this prior to our visit. But overall, this is a great place away from the crazy traffic in the towncenter. Very impressed with the unit. 2 bedroom unit is really spacious. Complete set of Kitchen utilities, with washing machine n dryer. Very clean and having 2 en-suite bathroom is a plus. Car park provided free of charge. Location wise, great for me since I rented car which make it easier to go to town or the new five mile retail Centre. Although there is construction in front of the unit, no disturbances since they operate during the day when we are out. Will not hesitate to book the place again in future. Beautiful views, clean and well equipped. Cozy. Wonderful views . Close to restaurants and supermarket and airport! Few minutes drive to city centre. Easy check in. Beautiful outdor area. Athough some construction outside, it did not interfere with our stat. Amazing place. Can't wait to come again! Best accommodation throughout the whole holiday. Huge living area with a nice gas fireplace. Lots of space for the kids to run about. Well equipped kitchen with everything you need. 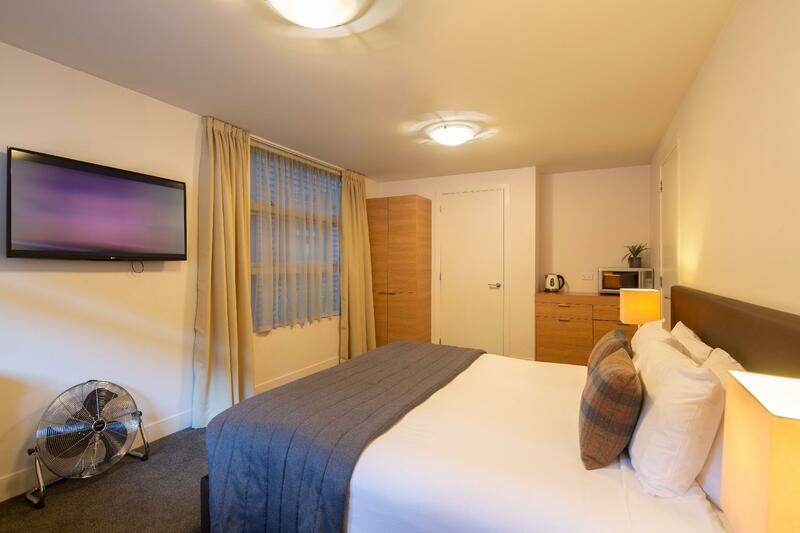 Bedrooms are located downstairs with 2 toilets and were very spacious. Excellent view from the living room and was really amazing waking up to snow capped mountains. There is a garage with an entrance to the apartment so it was really convenient. Will definitely come back to stay again if we visit Queenstown. Great location, near to airport. Apartment is right in front of the lake, but Marina construction site is blocking the view. A lot of parking space. Clean room and big common area. But the kitchen cooking area do not have lighting. House was not in the city center but it was ok because we had a rental car. House was new and clean with complete appliances and kitchen equipment. Perfect for a group. The hosts also prepared a nice welcome basket with cookies, coffee and tea for us which is a nice touch. the actual room is not the one in the photo, it is totally different building. The whole place inside the room was beautiful, amazing, such great value for money. I would definitely recommend!! And I will definitely come back here. I stayed at 3 places (Novotel, Copthorne hotel & apartments) and this was the cheapest and the best! The unit is fully blocked by construction. Therefore, it’s never a lake view unit but a construction view unit. Book with cautious. If you doesn’t really mind the view, then the house itself is value for money. Big, clean and cost. We loved staying here fantastic central location clean and all you could need including a lick up garage for the car. We could cook our own meals and do washing made the trip so much easier with a young family. Big rooms with fully equipped kitchen utensils, washer and dryer. The location is in between airport (5-10 mins) and city center (10-15 mins). Flexible check in time as the pass code will be given one day before check in. The only thing that need to improve is the WIFI connection is poor and disconnect most of the time. Just to take note that there is no staff at the apartment any problem you have to contact them. Overall we enjoyed our 3 nights stay at Element Escapes! Stayed at the Panorama Terrace for 3 nights, 6 adults. Key is already in lock box which you will be given the code hence check-in was pretty easy. The place is huge and has a really good view of the lake! The living room is at the ground level and the rooms were at the basement. There were 3 bedrooms with 1 being a smaller one, and 2 toilets. Hair dryers available. There is also a washing machine with detergent provided. Garage for parking and the clothes dryer is also there (which I find it a weird placement). Complimentary items include wine and snacks. Full kitchen set and a fireplace available. Location is 5m drive from town. The place is just so comfortable! Definitely a steal. we got a great deal from Agoda. The 3 bedroom apartment is very spacious with 3 ensuite bathroom. It is perfect arrangement. 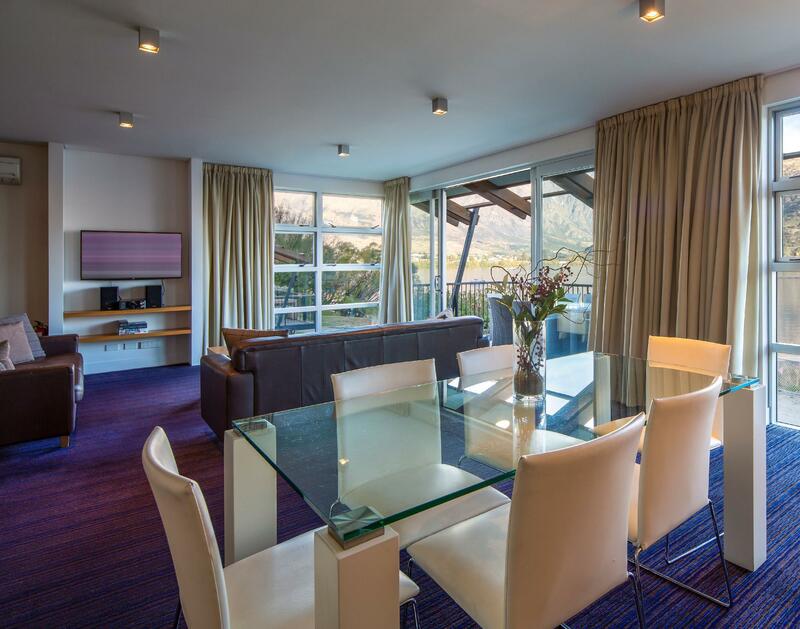 The location is about 2-3 km from the city centre and we got a room with view of Lake Wakatipu. Gonna consider staying here again in the future. Fantastic views, comfy beds and sofas, and lovely gas fire. Great location besides the 2 steep roads you have to walk up to get to the apartment if your walking from town but you can easily drive an park in town as we did or catch a taxi, the apartment is very comfortable an cosy with everything there that you need for your stay, most definitely would come back an stay again. My stay was fantastic. 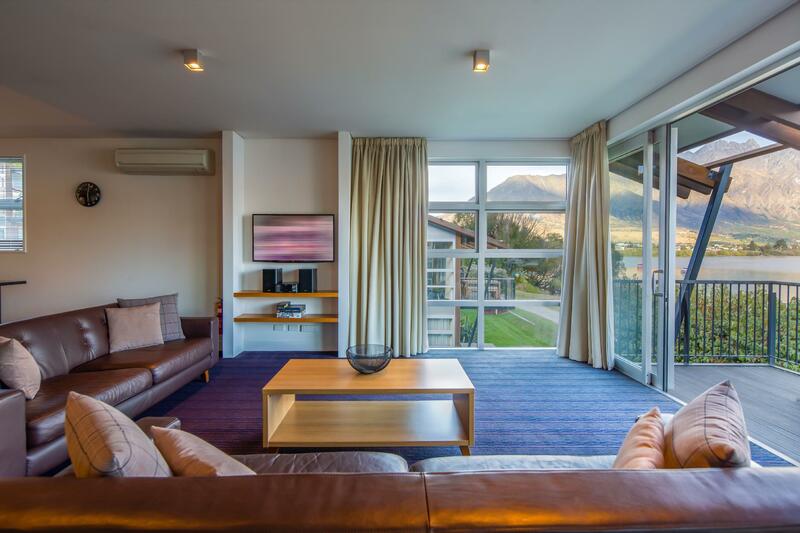 Spending 3 nights in queenstown at this mantra marina apartment. The apartment is next to the lake wakatipu, where we can walk nearby the lake. The room was spacy, clean with modern design. Each room has ensuite bathroom. Got a very good deal through agoda. Will definitely come again.